Dion Snowshoes, founded by Bob Dion and his wife Denise (both multiple time national championship medal winners), is a family owned and operated business out of North Bennington, Vermont, specializing in designing, building and selling some of the best running snowshoes on the market. All parts/materials are made in the USA and Bob personally has his hands on each and every snowshoe that goes out the door, ensuring top notch quality control. Dion snowshoes set themselves apart in that they are a modular design, meaning you can choose 4 different frames, ranging from the smallest race snowshoe, the 121 (the number represents surface area in square inches), all the way up to the 220 backcountry snowshoe for maximum flotation. The 121 features a hand crafted, aircraft grade aluminum frame with sleeve joined tubing for added strength, neoprene springs on hinge for constant tension and improved articulation and lightweight, abrasion resistant decking. For cleats, there are three different choices, the Ice cleat (pictured), the Standard cleat and the Deep cleat. The Standard and the Deep cleats are made of teflon coated aluminum alloy (with the Deep cleat being longer for deeper snow or for lighter runners who need more to dig in), whereas the Ice cleat is made of a more durable stainless steel, though are a few grams heavier. The heel cleat is teflon coated to prevent snow from sticking/balling. Since I live in Colorado, where we get a lot of snow, I debated going with the Deep cleat, but ultimately decided to go with the more durable Ice cleat, as sometimes races traverse bare ground and I will also use them for winter mountaineering that requires added durability. With 16 very pronounced and sharp points, traction is EXCELLENT on hard packed snow, ice and steep inclines. Model 121 is the smallest and narrowest snowshoe allowed by the USSSA. Great for Sprints, 5k and short distances but also able to handle the long stuff." The 121 frame is only 7.5 inches wide, which is a key measurement, in that it's narrowness greatly contributes to running efficiency, not having to alter your gait all that much to avoid banging your ankles. These are incredibly light snowshoes, which I knew ahead of time, but was still in awe when I pulled them out of the box. 1 lb, 3 oz. each. In order to change the binding and/or the cleat, all you have to do is turn two quick turn fasteners 1/4 turn and the binding and cleat pop right off. This system is remarkably secure and a full disassembly/reassembly only takes a minute or two once you have practiced the sequence once or twice. Below is the 121 disassembled, Ice cleat, 121 frame and Secure fit binding. Two different bindings are available, the Secure fit (pictured below) that comprises of three pull straps and the Quick fit, which instead of traditional pull straps, feature velcro straps, made of a hook and loop design and secure, long lasting velcro. One minor issue I have had in the past with other race snowshoes, is that (despite only wearing a size 10 shoe) I could not fit a warmer/larger shoe into the binding when I wanted to use them on cold days for non racing purposes. Not so with the Dion. I was able to fit my larger Hoka Tor Ultra Hi WP (my RTR review here) in them, as well as my even larger Salomon insulated winter boots. I did however have a little bit of trouble securing the middle Secure strap to the snugness I would prefer when using my lower profile race shoes. I asked Bob Dion about the feasability of upgrading to the velcro Quick fit strap kit, which he confirmed would be an easy solution. In two days, I had the velcro Quick fit straps and this easy conversion immediately solved my issue of not being able to adequately tighten that middle strap enough on my race shoes. My feet feel very secure in the bindings and there is no sliding or movement whatsoever, either fore/aft or side to side. I was initially reluctant to go with velcro, but now that I have tried them and am more aware of the versatility and how easy it is to exchange different sizes straps to accommodate for different types of shoes, or to simply replace as need be, I would highly recommend the Quick Fit binding (strap sizes included are XS, S, M, L, XL, which should cover about every size). Not to mention, the velcro is just easier, which is very handy out in the cold and snow. Getting in/out of the binding just takes seconds now. One other nice perk of having the velcro quick fit straps is that there is no excess strap to deal with (when using the Secure Fit straps, I had a lot of strap leftover and had to wrap and weave the excess around so it would not flap in the wind). Performance: In years past, I have owned/raced/borrowed several other light, race snowshoes from various brands, but I'll have to say that I was blown away by the performance of the 121. 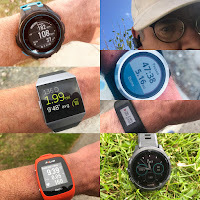 As I mentioned above, they are remarkably light and small, which goes a long way in performance, as with each foot step, effort is hardly more than running without snowshoes. The very narrow 7.5" width facilitates the closest to natural stride possible, which makes a big difference in not only efficiency, but also in nimble maneuverability. The fixed hinge on which the binding attaches, makes for a very responsive reaction, meaning that the snowshoe does not drag or waste energy lagging, it pops up very quickly (instantaneously) and is ready for the next step, no matter the stride rate. I did not get a chance to race in these during the test period, but did some fast running in them on well packed trails and am confident they will be the ideal race snowshoe. In addition to running fast in the 121 and confirming their top tier status as a racing snowshoe, I was also able to use them in a variety of conditions, less packed trails, icy lake crossings and frozen creek traversing, steep gradients (both packed/slick/powder snow), sidehilling, breaking trail in 8+ inches of fresh snow and getting off trail in 5 or 6 foot deep unconsolidated snowpack. I am impressed with how well the 121 handled just about all of these conditions. I am 145 lbs, so a larger snowshoer may want to consider a larger frame size for varied use, but the light weight was a huge help when breaking trail in the 8 inches of snow (with a packed base underneath). Of course they wallowed a bit off trail in the bottomless, unconsolidated powder, but I found that I could get through the snow OK. If breaking trail in deep snow is all you are doing, I would definitely suggest a larger size, like the 166 or the 220. I am also quite happy with my choice to go with the Ice cleat, as they seemed to provide enough traction in looser conditions, where I am not sure a longer cleat would help anyways. On actual Ice, the ice cleat hangs on remarkably well, not even the slightest chance of skitter or slipping. Some photos below of a recent outing with the 121s, where they performed flawlessly in the fresh snow. Recommendations: The 121 is first and foremost a race snowshoe and is the ideal choice for anyone looking to race for the win, or anyone else just looking for the highest quality, best performing, lightweight snowshoe with excellent interchangeability. I also think it is a great snowshoe for a wider variety of use beyond racing. We get a lot of snow here in Colorado, but we also have a large population of outdoor enthusiasts that are quick to pack down the majority of the trails. Much of the time that I have been out snowshoeing in the past, I have found my 30" expedition snowshoes to be way too much for the relatively groomed conditions, then, far too often, the 5+ lb behemoths would be strapped to my pack (also creating a nice wind sail above treeline), or I would just be sluggishly clomping along with way too much snowshoe. With the lighter weight, excellent traction, surprisingly good flotation (for such a small snowshoe and assuming a lighter user) and the ability to accommodate any size shoe (including insulated winter boots), the 121 will be my go to snowshoe for racing as well as mountaineering and general snowshoe hiking. Quality: As I mentioned above, I really appreciate that all of the materials are sourced here in the US and that Bob is so invested in the design, construction, customer satisfaction and distribution of his namesake snowshoes. His commitment to the sport, his product and the needs/satisfaction of his customers is exemplary. The quality materials, craftsmanship and attention to detail sets Dion apart from the competition. Value: I have read in some reviews, the opinion that Dion snowshoes are expensive, but I feel as though I need to address that. At $255 as tested here, I find these to be an excellent value, as they are priced quite fairly in comparison to many of the other top end race snowshoes and are less expensive than several others. Factor in the top notch quality, personalized service, satisfaction guarantee, lifetime warranty and the modular interchangeability/versatility, Dion snowshoes are a true value. The Dion 121 was provided free of charge. The opinions herein are entirely the author's. 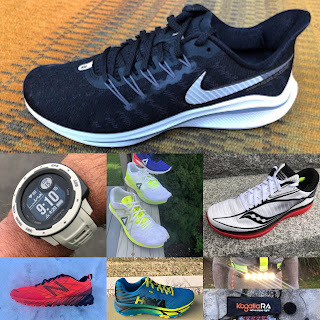 Click Here our Latest Running Shoe and Gear Reviews, over 65 in 2016! Click Here our 2017 Run Shoe Previews, 14 brands so far!